Rafters	There are 3 products. 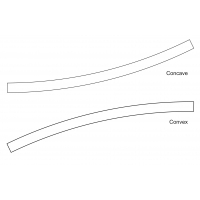 Choose from our selection of bullnose, concave/convex and ogee rafters to create character and provide the finishing touches to your Verandah. The rafters are available in a range of sizes and radii. 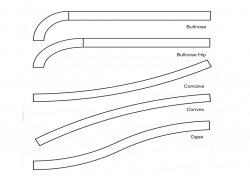 Custom matching of existing rafters or samples is also available. 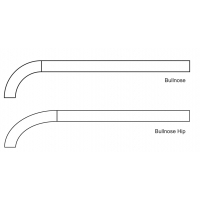 Product Code: Bullnose Rafters Dimensions: Available in 300 radius & 400 radius. To suit Verandah Depth - 1200mm, 1500mm, 1800mm, 2100mm, 2400mm, 2700mm, 3000mm, 3300mm*, 3600mm*, 3900mm*, 4200mm* (*140mm x 45mm Rafter olnly) Material: Pine - 90mm x 45mm, 140mm x 45mm Common and Hip Rafters Available. Custom matched orders available on request. 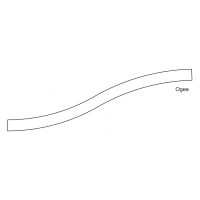 Product Code: Ogee Rafters Dimensions: Available in 300 radius & 400 radius. To suit Verandah Depth - 1200mm, 1500mm, 1800mm, 2100mm, 2400mm, 2700mm, 3000mm, 3300mm*, 3600mm*, 3900mm*, 4200mm* (*140mm x 45mm Rafter olnly) Material: Pine - 90mm x 45mm, 140mm x 45mm Common and Hip Rafters Available. Custom matched orders available on request. Product Code: Concave/Convex Rafters Dimensions: To suit Verandah Depth - 1200mm, 1500mm, 1800mm, 2100mm, 2400mm, 2700mm, 3000mm, 3300mm*, 3600mm*, 3900mm*, 4200mm* (*140mm x 45mm Rafter olnly) Material: Pine - 90mm x 45mm, 140mm x 45mm Common and Hip Rafters Available. Custom matched orders available on request.